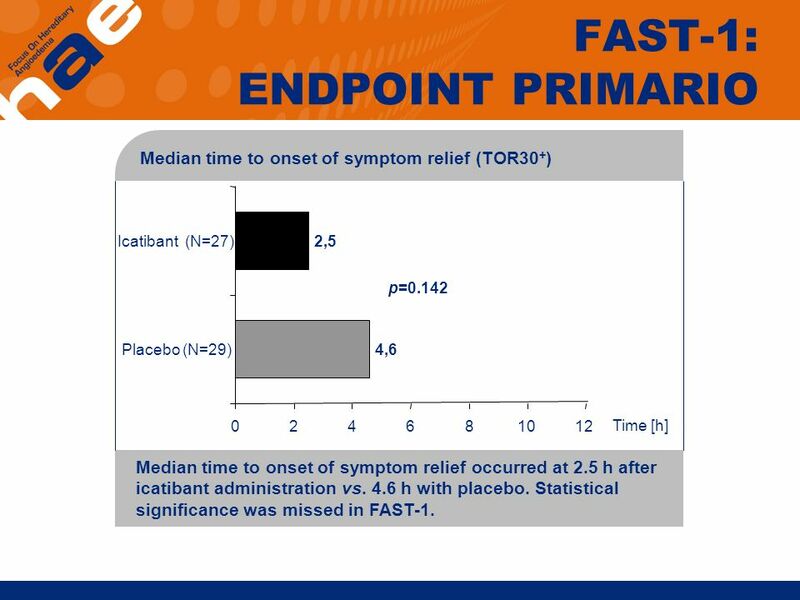 Median time to onset of symptom relief (TOR30+) Icatibant (N=27) 2,5 p=0.142 Placebo (N=29) 4,6 FAST-1 did not meet the primary endpoint because the difference between TOR30+ for Firazyr and placebo was not statistically significant (p=0.142) the explanation for this is because of a large number of abdominal attacks treated with placebo that demonstrated a high placebo response, as indicated by a TOR30+ of 4.6 h for the placebo group (compared to 12 h for tranexamic acid in FAST-2) see following slides of the post-hoc analyses which show that TOR30+ for abdominal attacks did not reach statistical significance all see slide on time to onset of relief using the composite VAS-3 and censoring of patients on rescue medications 2 4 6 8 10 12 Time [h] Median time to onset of symptom relief occurred at 2.5 h after icatibant administration vs. 4.6 h with placebo. 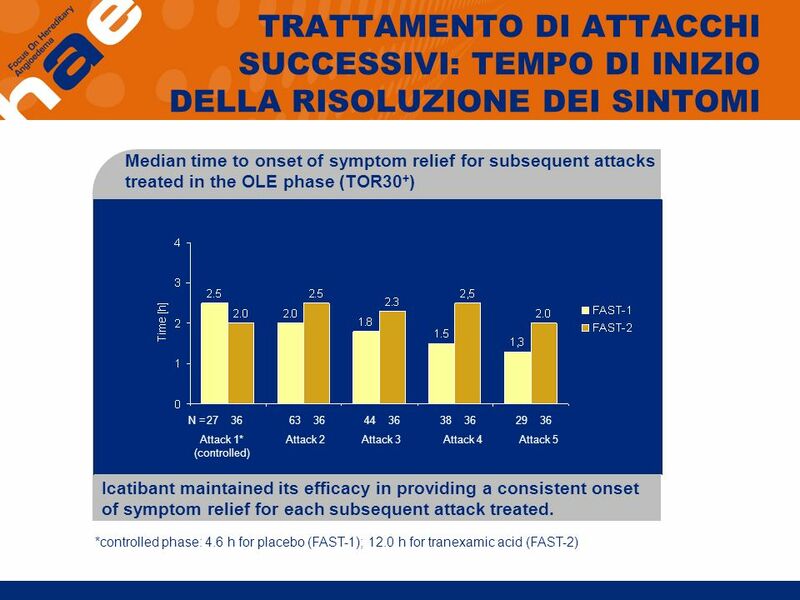 Statistical significance was missed in FAST-1. 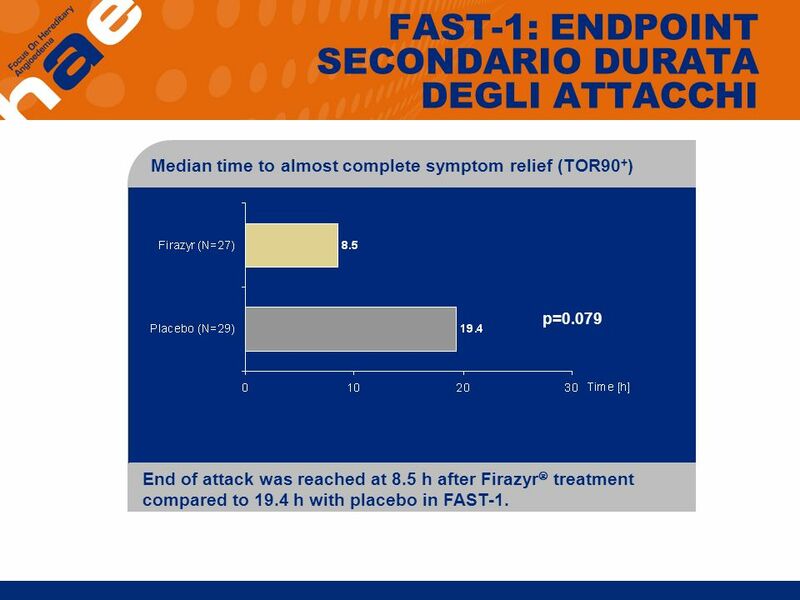 Median time to almost complete symptom relief (TOR90+) p=0.079 TOR90+ for FAST-1 is also not statistically significant End of attack was reached at 8.5 h after Firazyr treatment compared to 19.4 h with placebo in FAST-1. 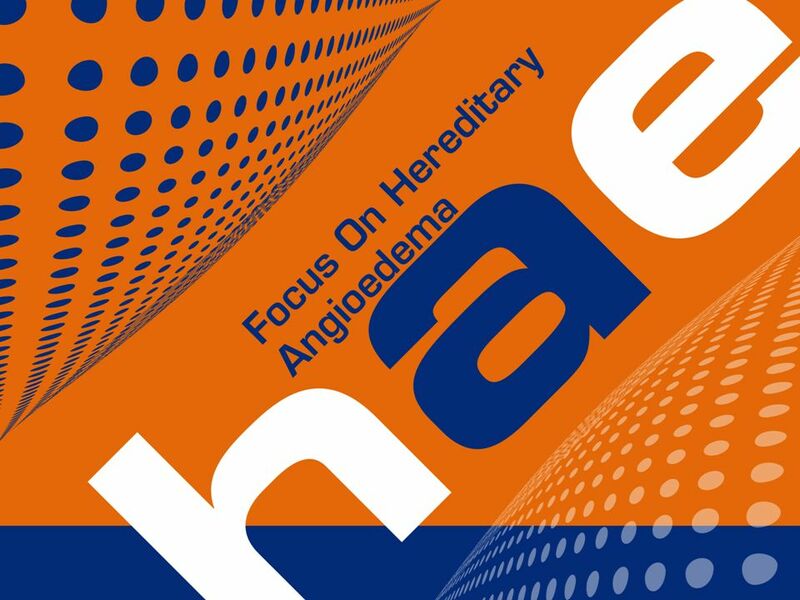 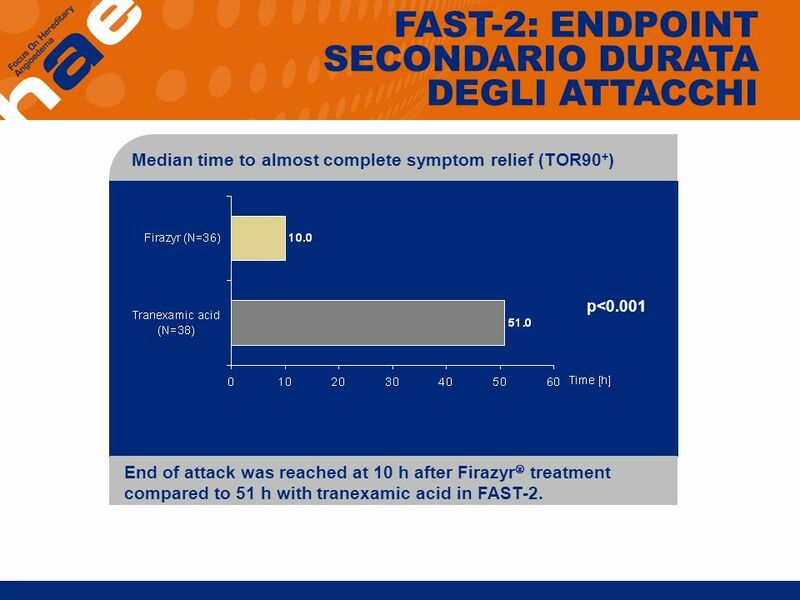 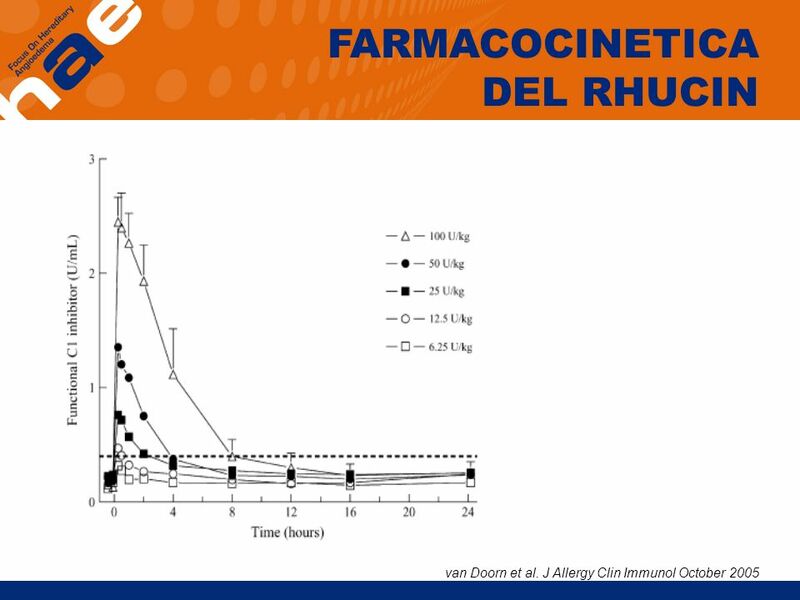 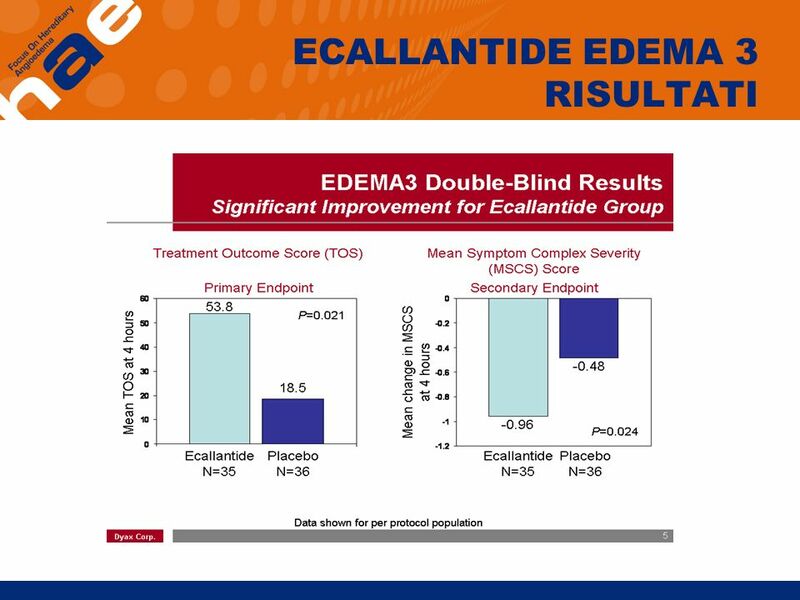 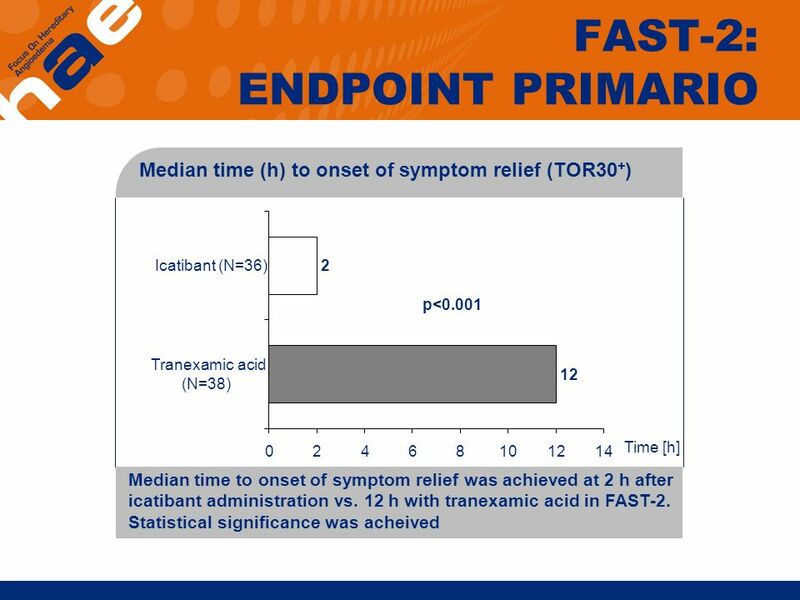 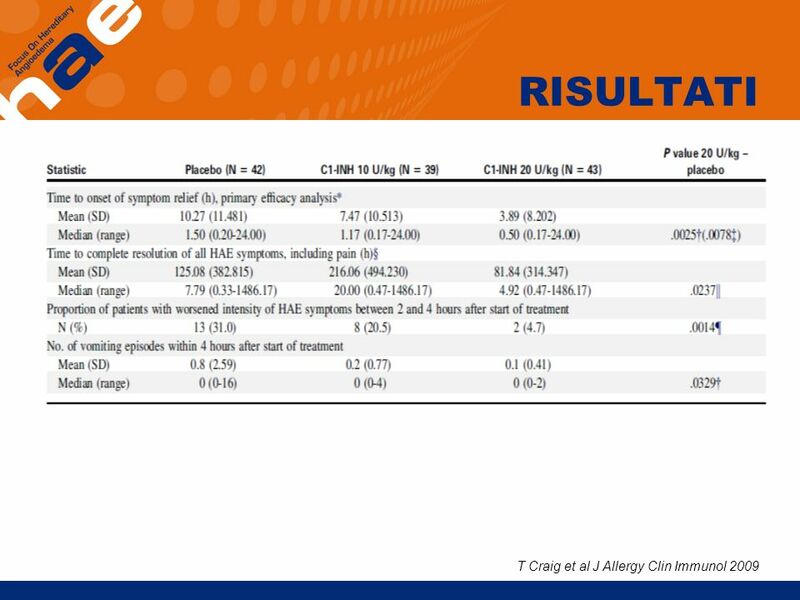 Median time to almost complete symptom relief (TOR90+) p<0.001 End of attack was reached at 10 h after Firazyr treatment compared to 51 h with tranexamic acid in FAST-2. 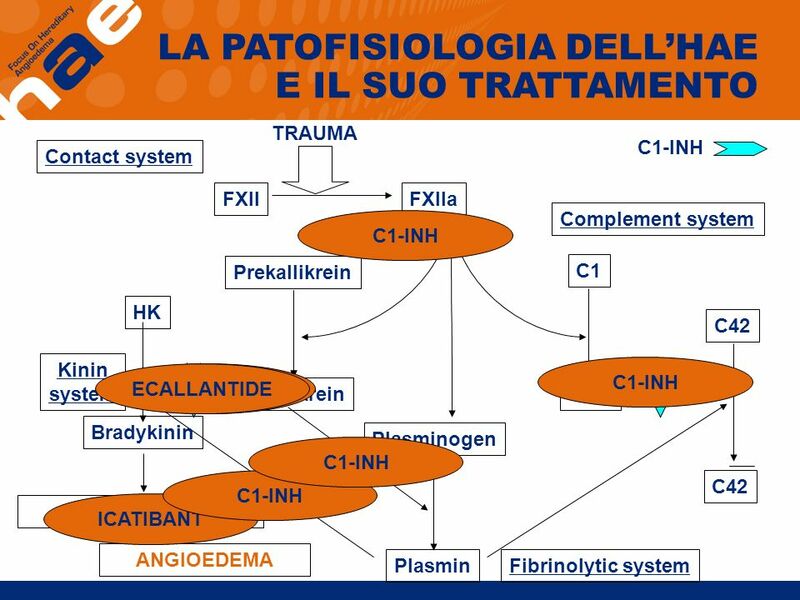 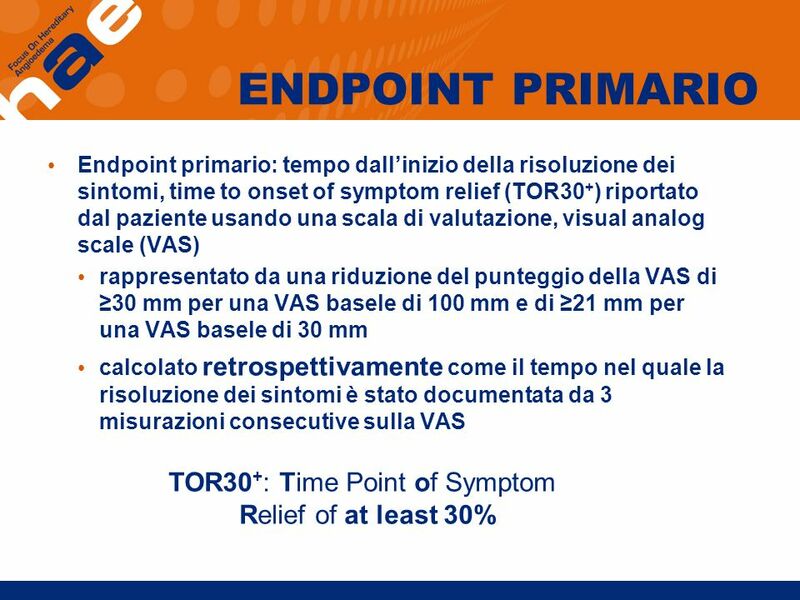 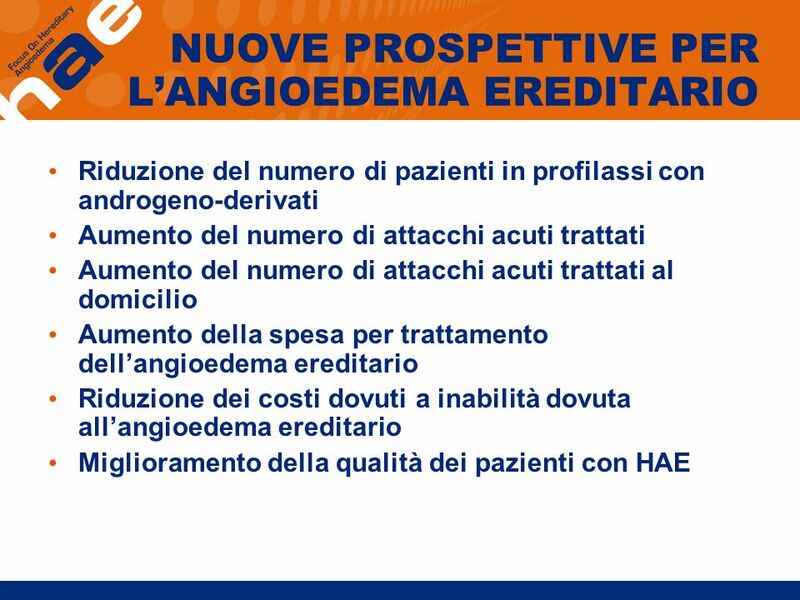 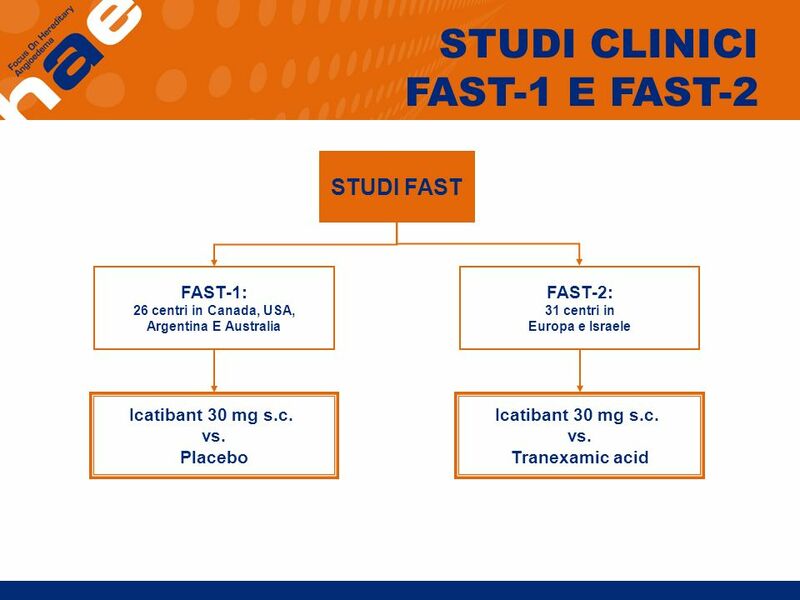 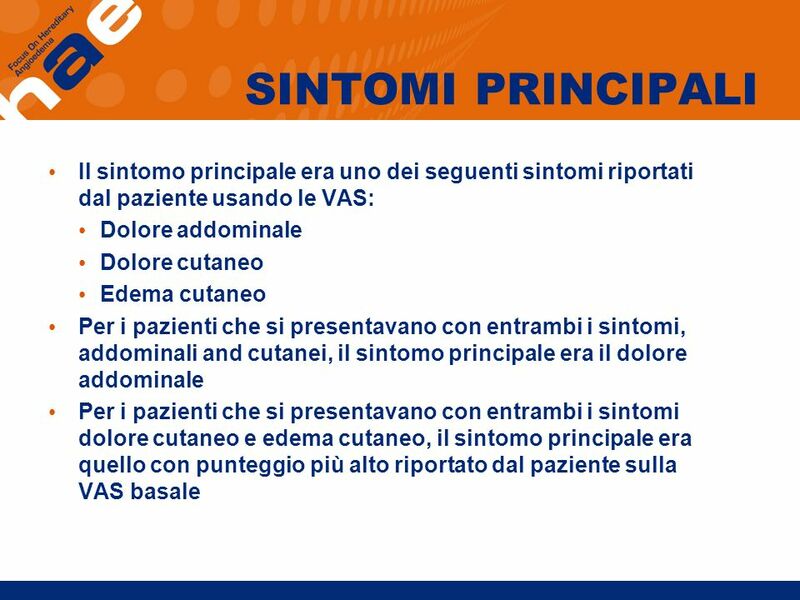 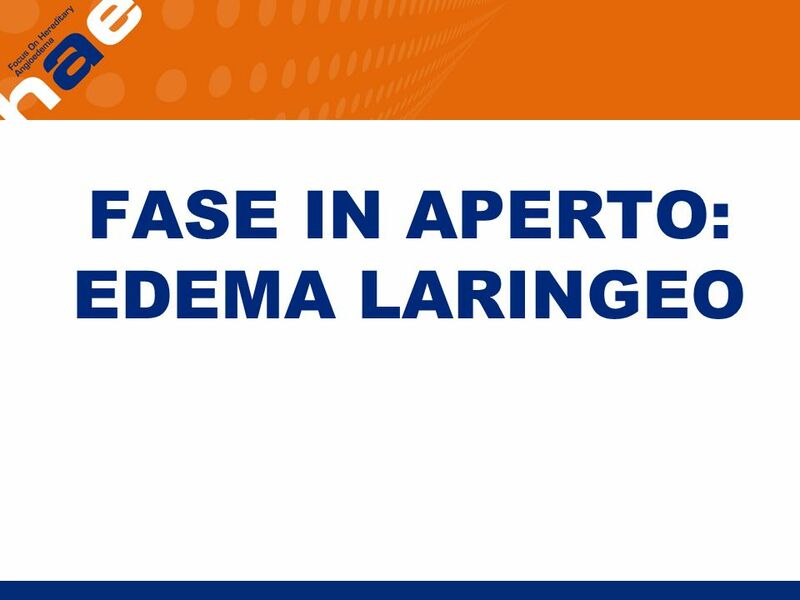 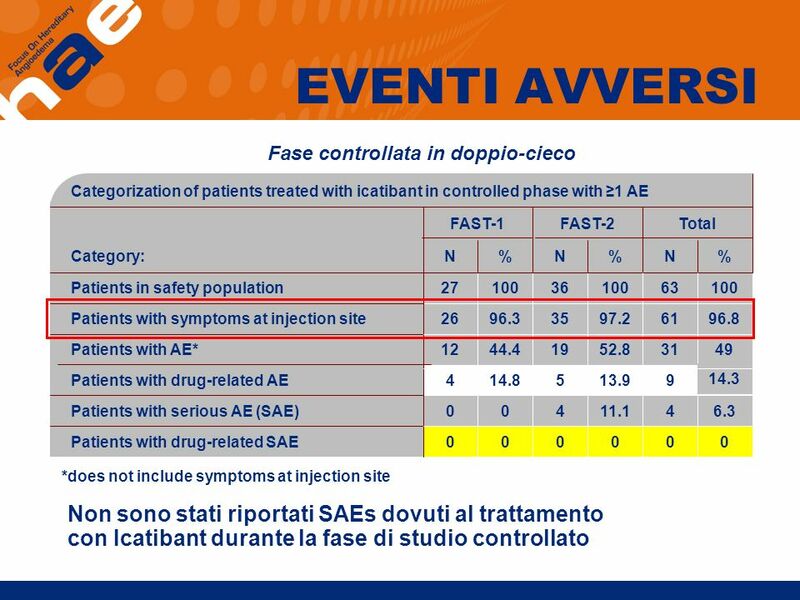 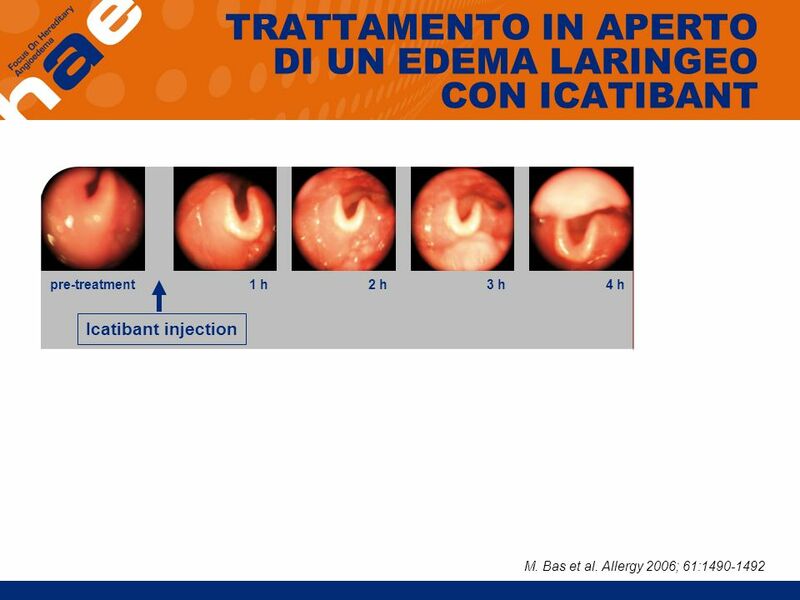 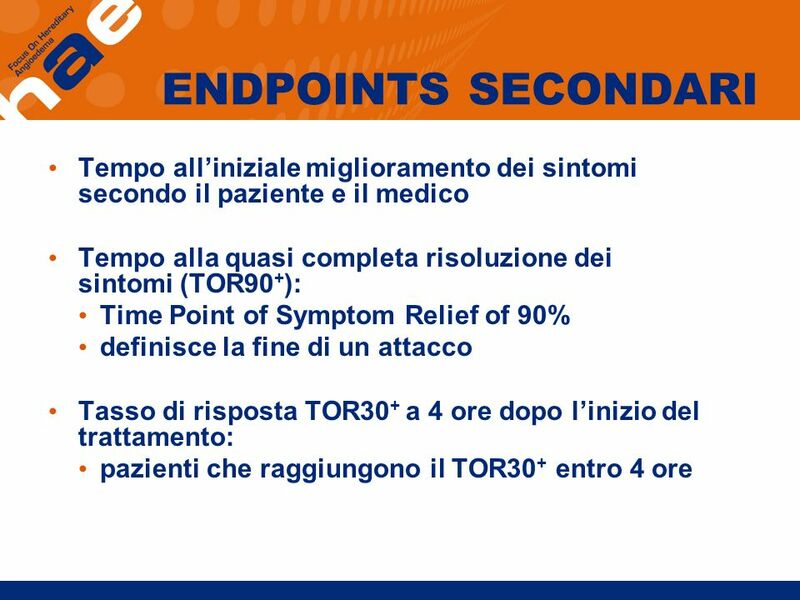 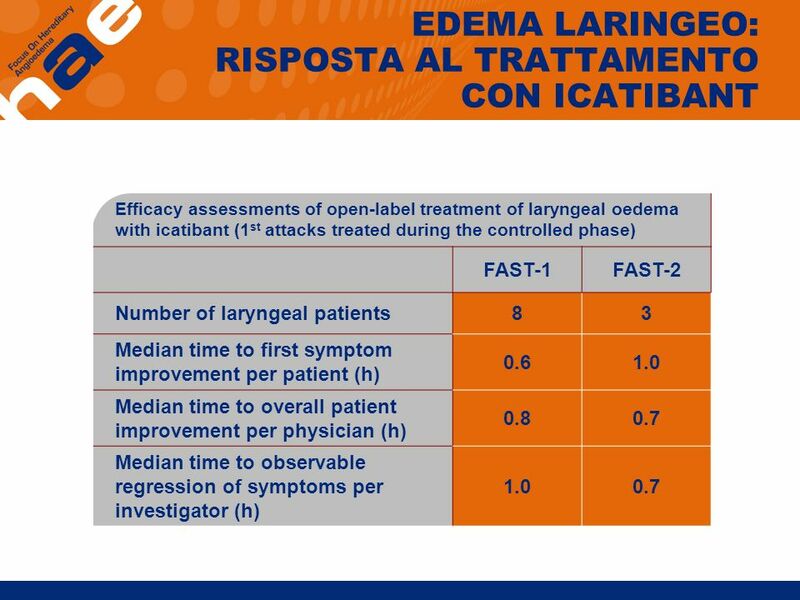 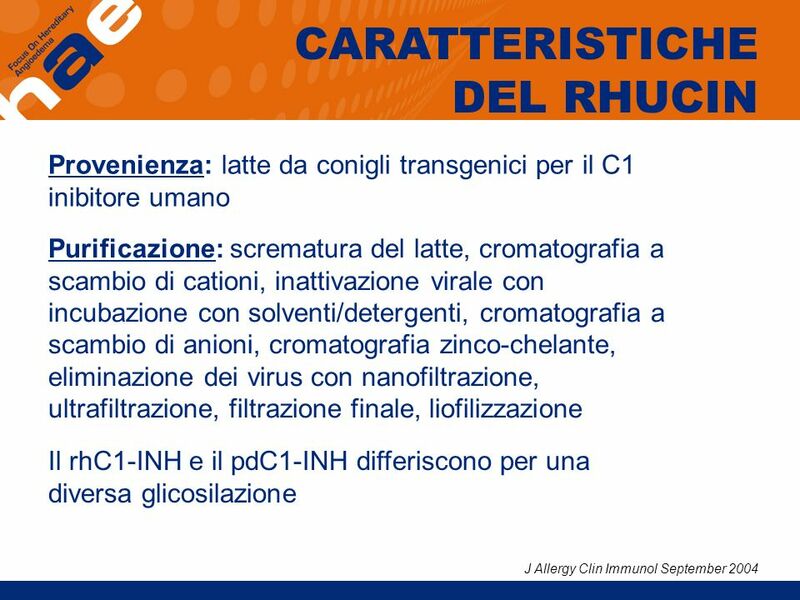 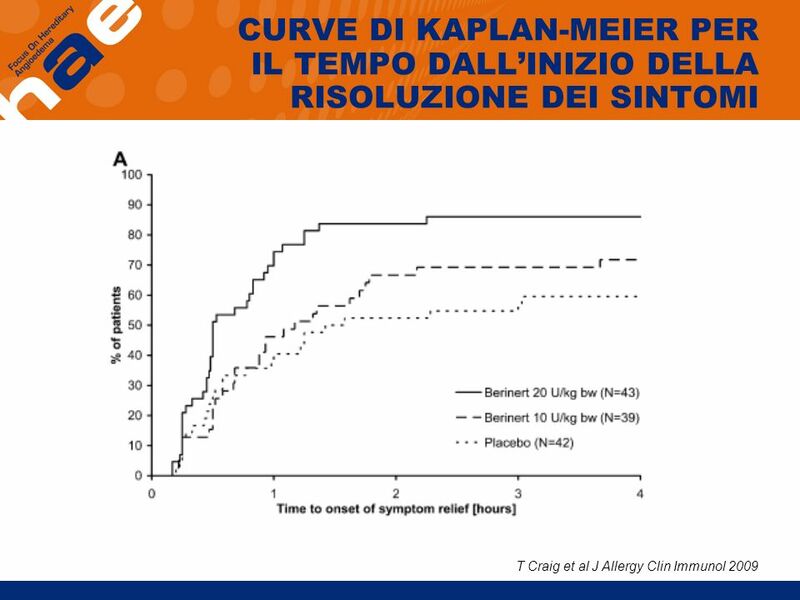 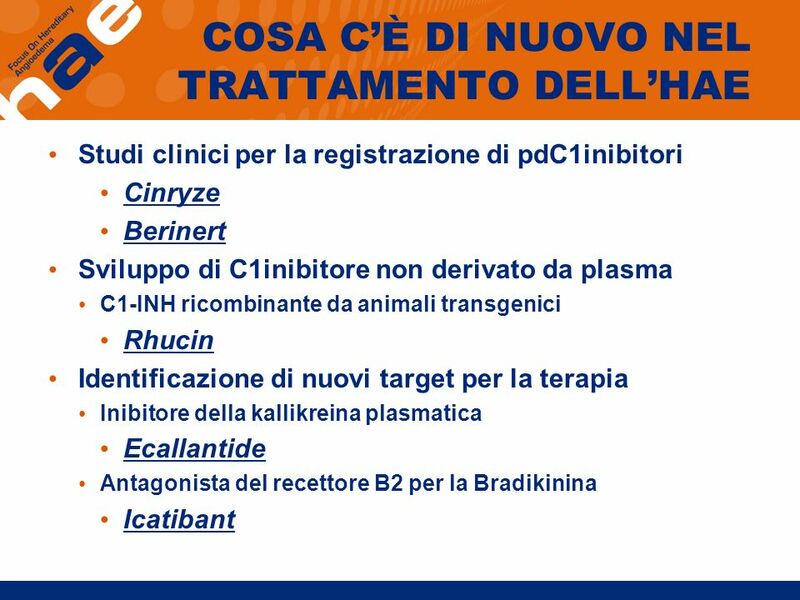 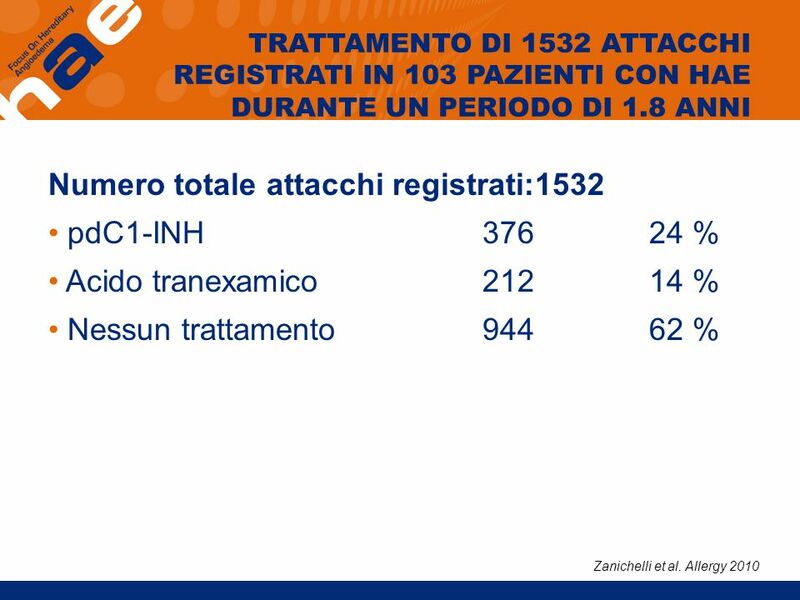 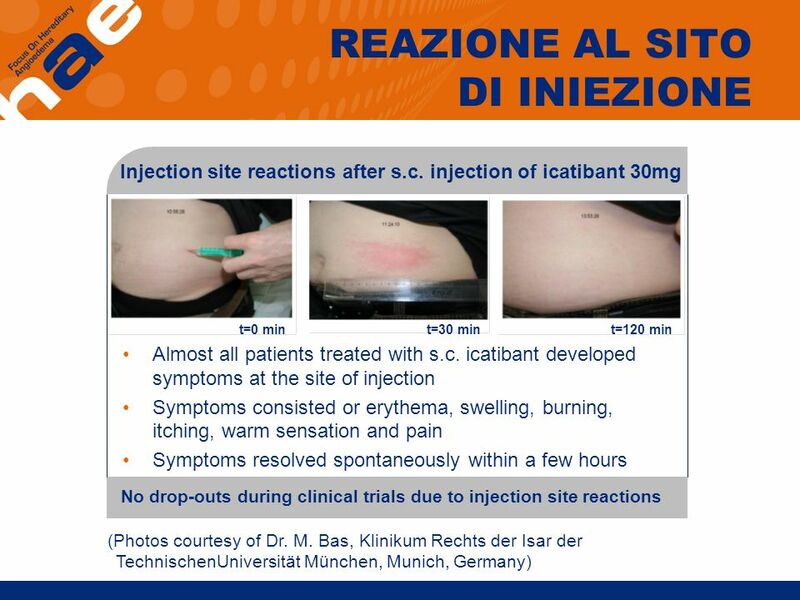 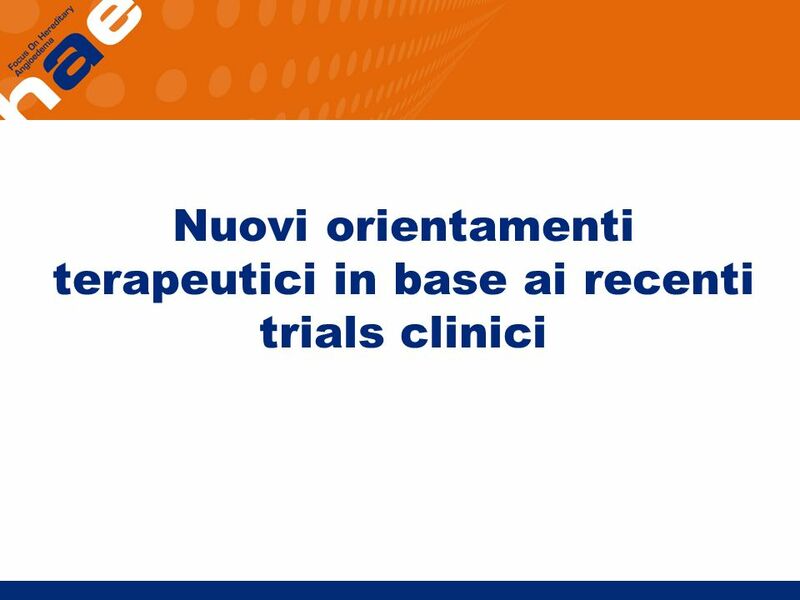 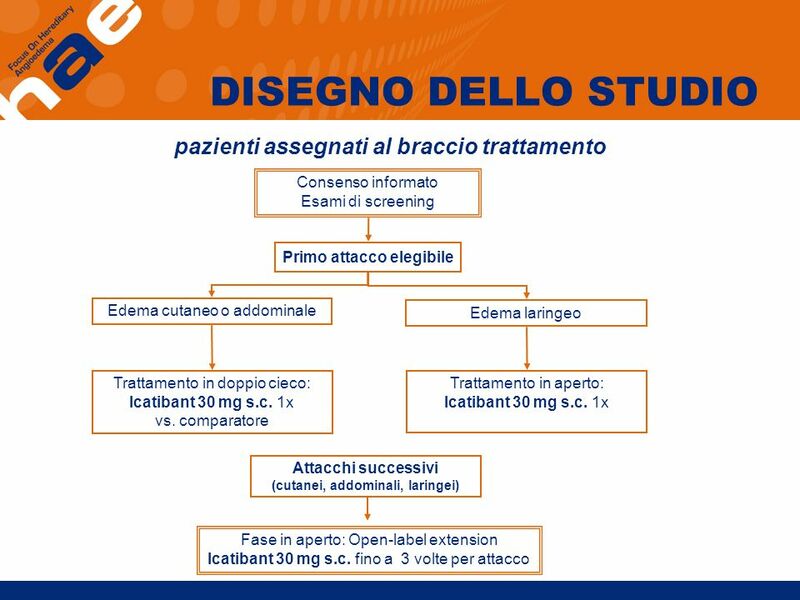 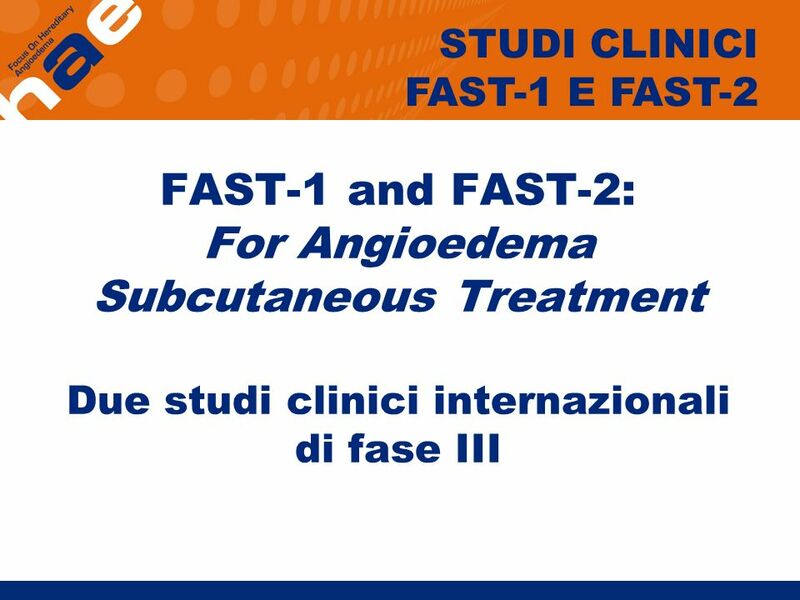 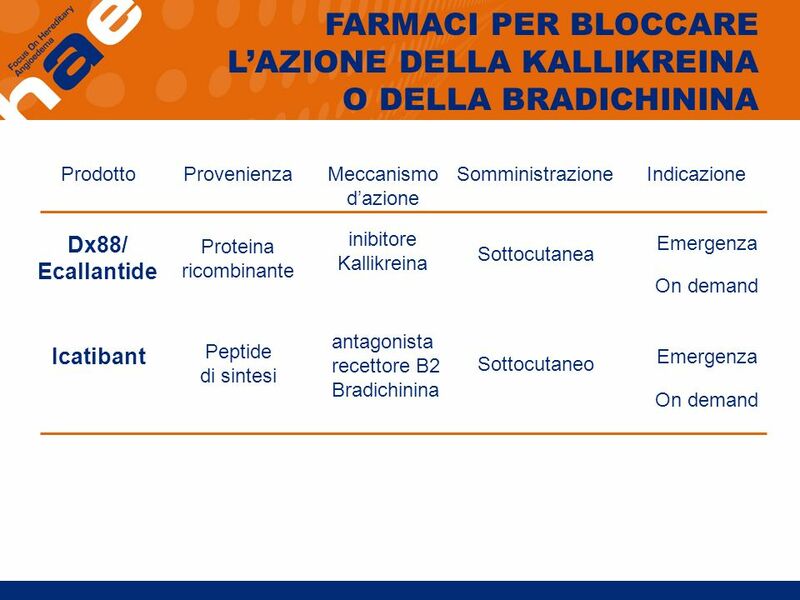 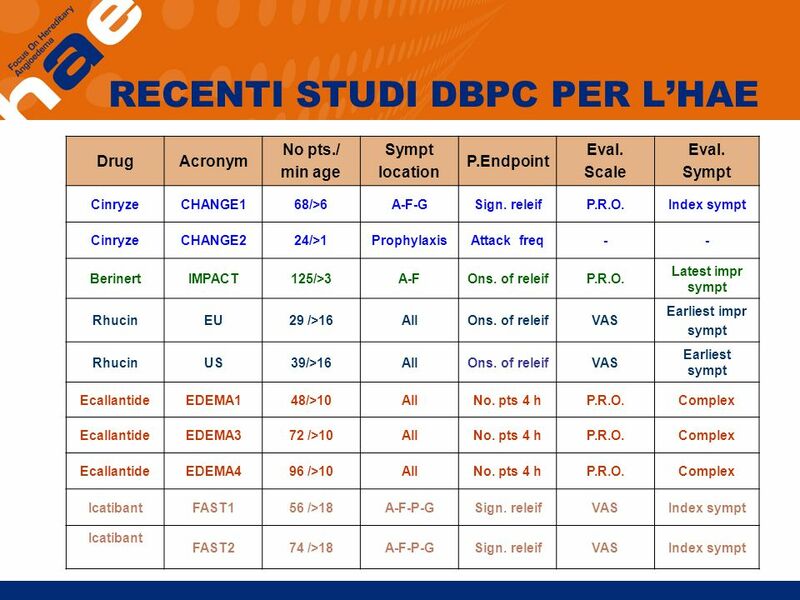 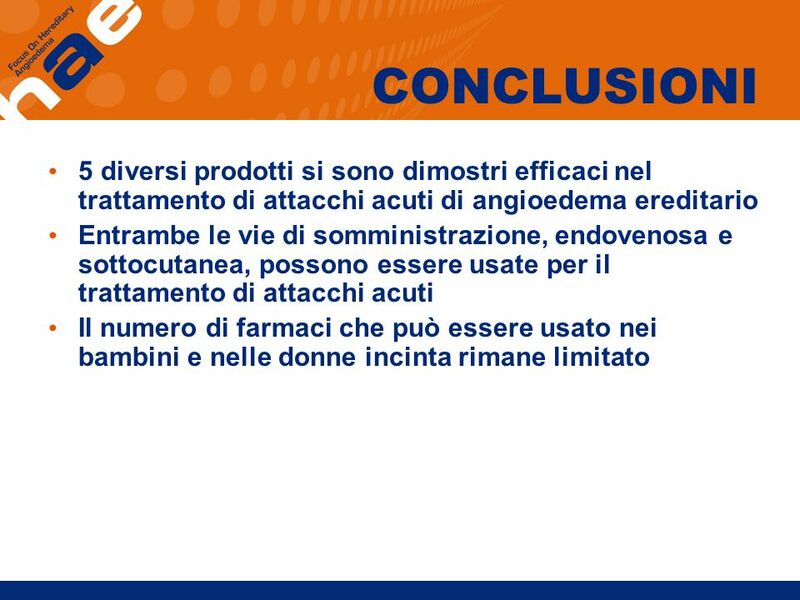 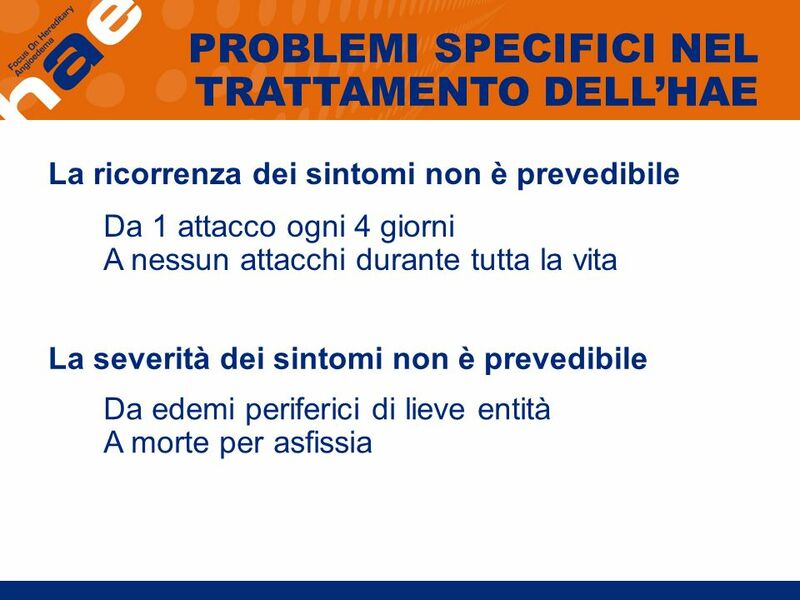 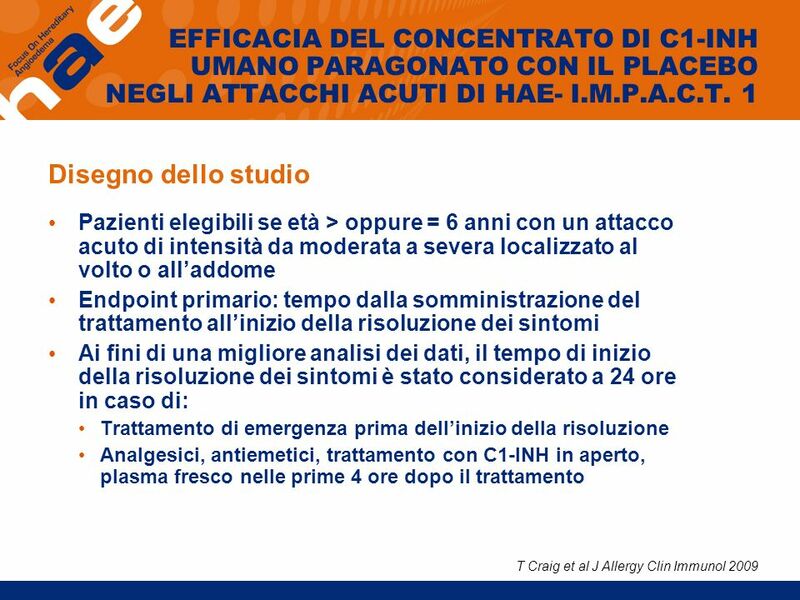 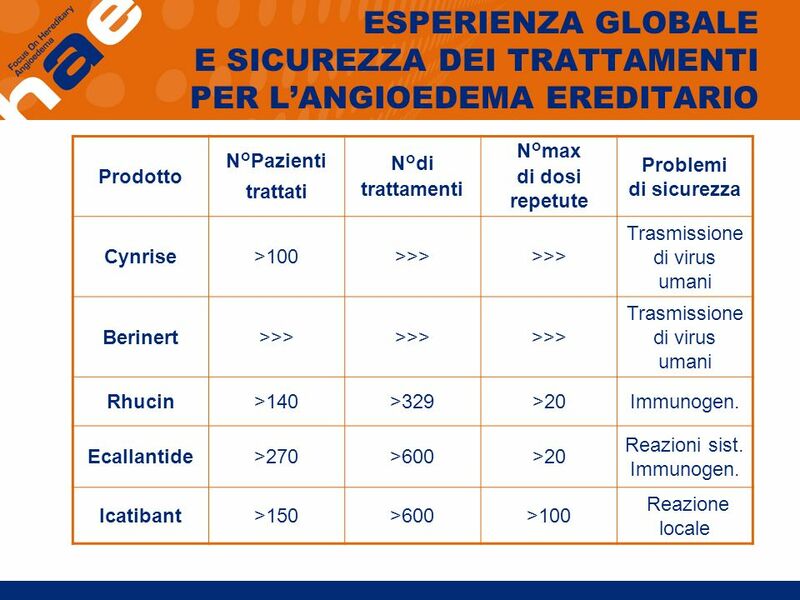 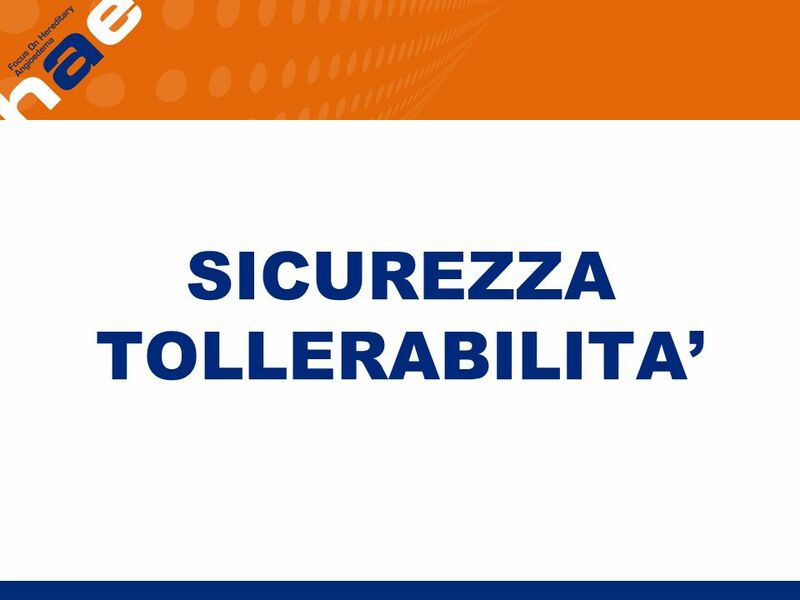 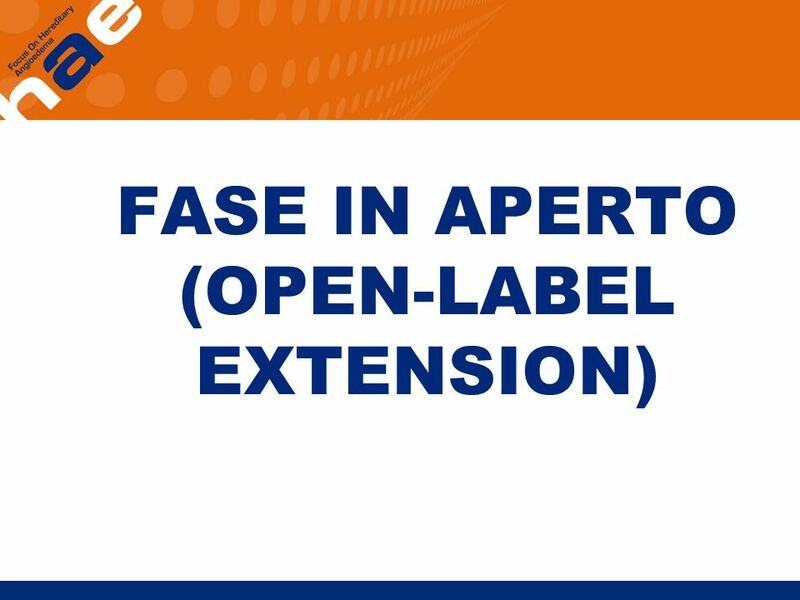 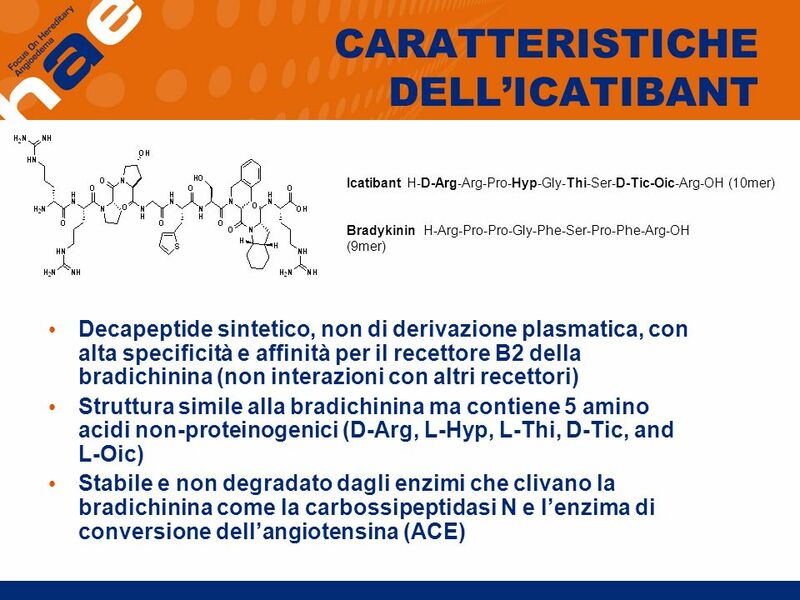 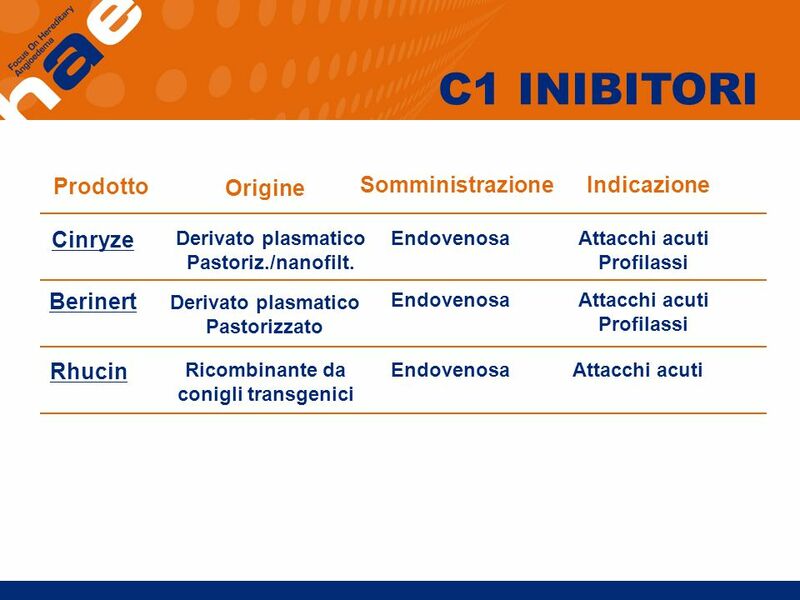 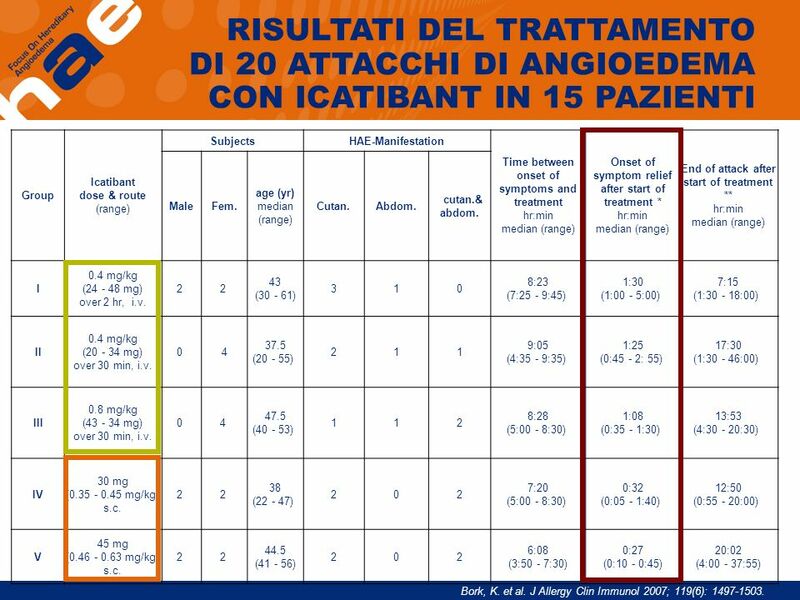 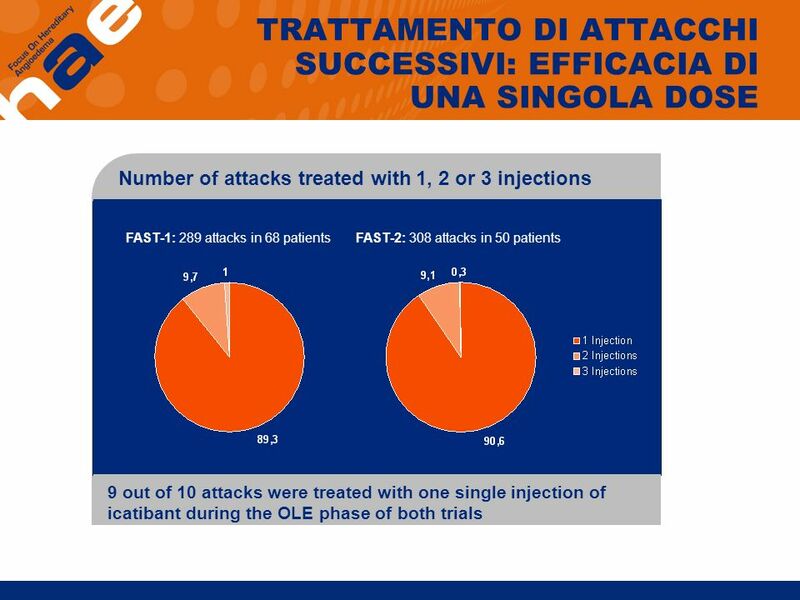 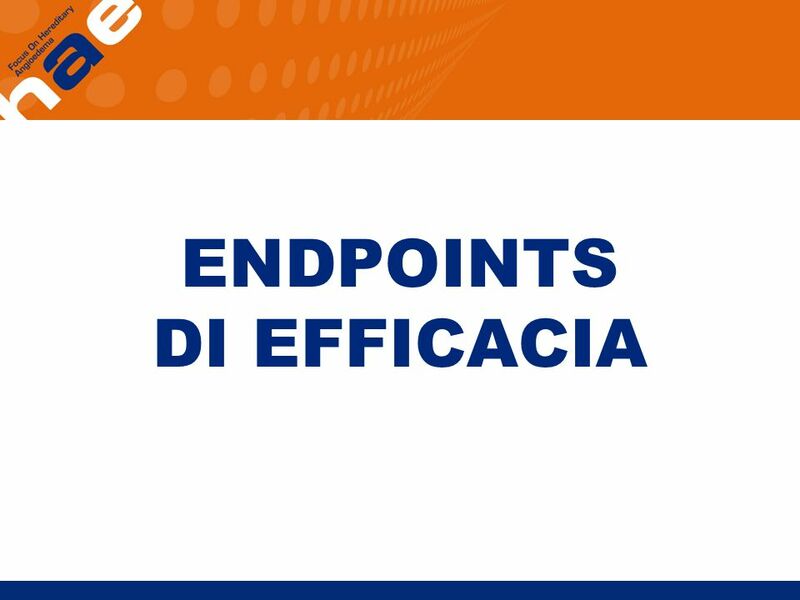 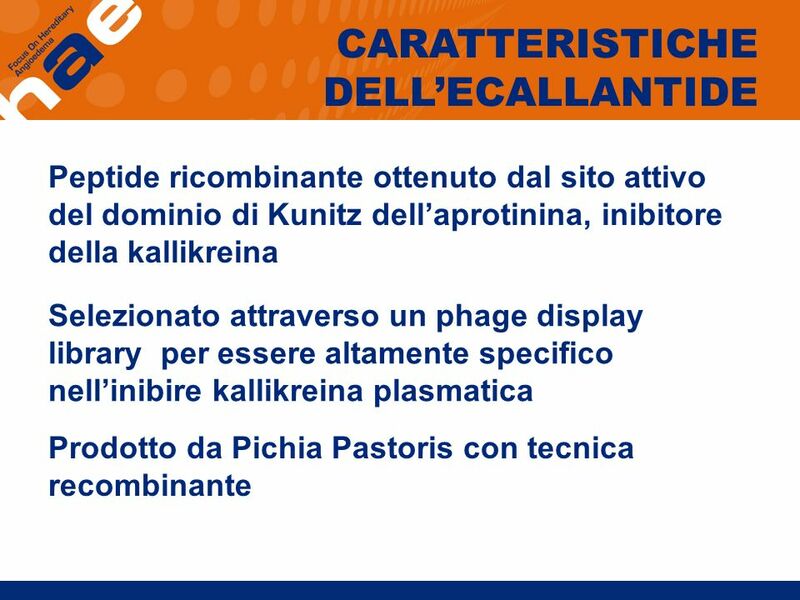 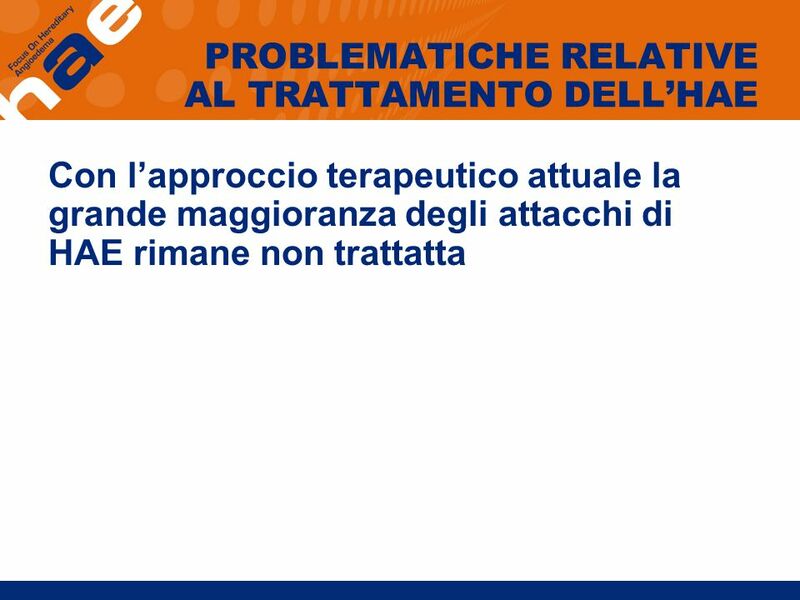 Scaricare ppt "Nuovi orientamenti terapeutici in base ai recenti trials clinici"